Toilet overflowing? Bathroom sink leaking? New suite need installing? We have you covered at Arco Plumbing! A large concentration of the plumbing in your home is found in the bathroom, making it a vital place to start when keeping up with the plumbing maintenance in your home. Due to the amount of plumbing in the bathroom, there is a lot that can go wrong, which is where Arco Plumbing is on hand to help. Whether you need general plumbing maintenance, emergency repairs, or full installation services, our expert team are more than up to the task. A family-run business, with years of experience in a vast range of plumbing services, you can count on us to make sure your plumbing is up to scratch and can handle the demands of everyday use. Our team can handle both residential bathroom plumbing, and the additional needs and stresses of commercial plumbing, so whether the problem or installation is big or small, don’t delay in giving our team at Arco Plumbing a call! Installing an entirely new bathroom suite or upgrading parts of your bathroom is a great home improvement, but often comes with some significant plumbing work. This is especially the case if you’ve decided to rearrange your suite and go for a completely new look. At Arco Plumbing, we can take care of every stage of the plumbing process, making sure that you never have to compromise on the look of your new bathroom, just because of the plumbing required. Installing completely new plumbing, or altering existing plumbing, is an in-depth process. We’ll make sure that you have a new supply and waste pipework exactly where you need it to be to install thenew parts of your bathroom suite. This will take care of all the hot and cold water you’ll need to run your shower, basin, bath, and toilet. Our team always make sure that the piping is secure, easily accessible for future maintenance, and installed in the optimum way to make sure that the pipes don’t detract from the final look of your new bathroom. If you’re considering moving the location of the bathroom in your home, or are working on a new-build, then our professional team can also provide invaluable assistance with both optimum design and installation. Setting up a new bathroom is a big project, but you can always rely on Arco Plumbing to make sure the process is smooth and problem-free, with plumbing that will continue to work like a charm for years to come. 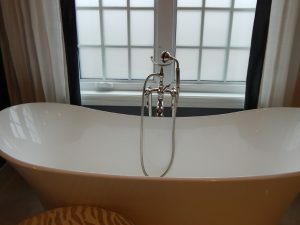 Of course, new bathroom suite installations are only part of the job when it comes to bathroom plumbing. With so much water that needs supplying, and removing, in one place, problems are not always easy to avoid. Many bathroom plumbing problems can be addressed quickly and easily with the help of a professional plumber when they are caught quickly. However, problems left to fester can go on to cause much more serious issues that need more extensive work. If you spot a problem with your bathroom plumbing, then it’s vital to give the expert team at Arco Plumbing in Chicagoland a call as soon as possible. 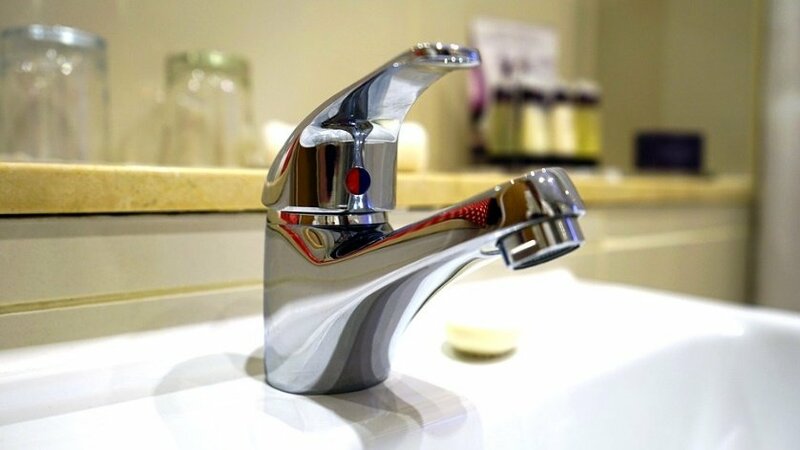 We can address a wide range of bathroom plumbing problems, including; bathroom shower problems, water heater repairs and installation, bathroom leak repairs, drain cleaning and unblocking, and overflowing and blocked toilets. Clambering into the shower in the morning, only to be met with a blast of freezing water or a struggling water flow, is no way to start the day right. At Arco Plumbing, we provide a comprehensive service for bathroom shower repairs, from solving problems with shower units and faulty shower heads, to dealing with issues with a broken thermostat mixer. If you’re considering installing a new shower in your bathroom, then we can also help with the installation of electric showers that heat the water without assistance from your combi boiler, or power showers, which generally require different pipework to your standard showers, to allow for the increased flow rate of the water. If your water heater is playing up, or you’re looking to change your system and use a tankless heater, then we can help with the installation. We also provide an outstanding service for water heater repairs, so you don’t have to deal with a poorly performing water heater, or one that is struggling to heat water, for any longer than what is truly needed. Noticing leaks in your bathroom pipework is always a daunting situation, after all, that leak is certainly not meant to be there. Not only will a leak left unchecked waste water, but it could also cause serious damage to your flooring, that could cost considerably more to repair than the pipe. There are a vast range of reasons why your pipe may be leaking, so getting a professional in to take a look sooner rather than later is vital for the health of your plumbing, and the prevention of further damage. Most leak problems come with an easy fix, but if the issue is serious, then a complete re-piping may be required. In both situations, the Arco Plumbing team will work with you to find an affordable, effective, and long-lasting solution. While it’s important that your bathroom plumbing delivers water, it’s also important that it can take it away. Problems with your bathroom drains can be unpleasant and mean that parts of your bathroom are rendered unusable. Our team have plenty of experience dealing with minor and serious drain blockages, that are brought on by daily use or serious issues. We’ll make sure that the blocked drain is cleaned, and repaired as quickly and efficiently as possible, so you can get back to using your bathroom like normal. Perhaps the most unpleasant thing that can go wrong with bathroom plumbing is an overflowing and blocked toilet. This is a common problem but can lead to serious issues if you don’t get the block removed and the problem fixed as quickly as possible. Arco Plumbing can tackle any problems with toilet clogs, overflowing toilet, and issues with the flushing mechanism, returning your toilet to a pristine state that is problem-free. What Makes Arco Plumbing the Best Service in Chicagoland? 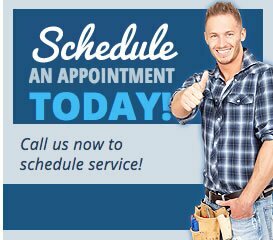 By choosing Arco Plumbing in Chicagoland for your plumbing problem, you’re choosing a full service that can take care of all your plumbing problems, whether they’re in the bathroom, kitchen, or consist of issues with your drainage. All our plumbers are fully trained, licenced, bonded, and insured, so you’re getting a service that you can trust to do the job right. Each new job that is brought to our team at Arco Plumbing, whether it’s an installation or an emergency repair, is carried out with the same diligence, professionalism, and quality workmanship that we know all our customers have come to expect from our expert service. No matter the bathroom plumbing job, big or small, we’ll provide you with a free estimate, and up-front pricing, with a flat-rate that you can put your faith in. For any bathroom plumbing problem, don’t hesitate to call Arco Plumbing for a job well done!